Now that you are sending all of your logs to your Windows Event Forwarder, it’s time to forward them to Elasticsearch so we can visualize them in Kibana and make some meaningful decisions based on the data. Windows hosts – Your system in which we will be collecting the logs from. (Note: This will not include logs older than 3 days). 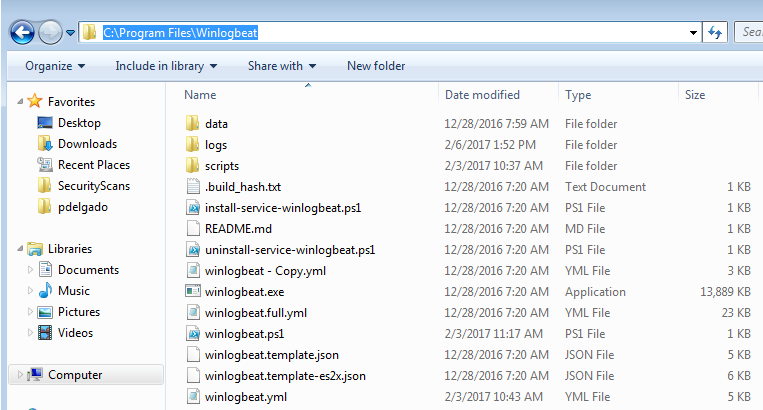 Save the winlogbeat.yml and exit. Done! Next tutorial will focus on Kibana so you may start visualizing the data. If you have any questions feel free to send me a message on Twitter where I’ll answer quicker. 2 Comments on "Sending Windows Event Forwarder Server (WEF) Logs to Elasticsearch (Winlogbeat)"